Found 2 blog entries for October 2008. In order to avoid the congestion on Rd. 68 some people have decided to move away from that area. For some though moving isn't a great solution, so engineers and city planners are looking at ways to improve the Rd. 68 area. They have already added two turn lanes on the west side of 68 for those going westbound and eastbound. Now the city planners are looking at extending Rd. 100 which would provide another entrance to the freeway for those coming from more rural areas of Pasco. This would reduce the congestion on Rd. 68 by adding new ways to cross the highway. So far Rd. 68 is the only place to cross the highway or get on and off it. Consider joining Squidoo and creating a lens for you favorite charity or hobby today! 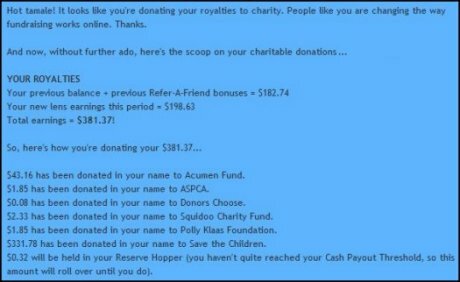 If you join Squidoo using this link, you'll be contributing to Save The Children (see above, "Refer-A-Friend bonuses")!